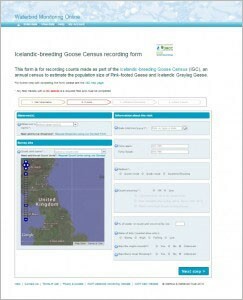 Observers can now report their observations from the Icelandic-breeding Goose Census (IGC) and national goose and swan age assessments online. 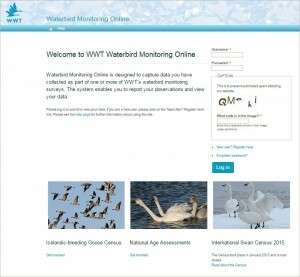 We’re pleased to announce that WWT Waterbird Monitoring Online (WMO) is now live and can be used to submit counts from the IGC and for age assessments. WMO offers you a quick, secure and responsive way to report observations and to view data. Find out more by visiting the site. There you’ll find further information about how to register to use the system, together with further information to help you. We encourage IGC and age assessment participants to register in order to submit data for the coming winter, 2015/16. Any feedback will be gratefully received as it will help us improve and develop the site. If you have any problems or queries about the new system, please contact the Monitoring Unit.